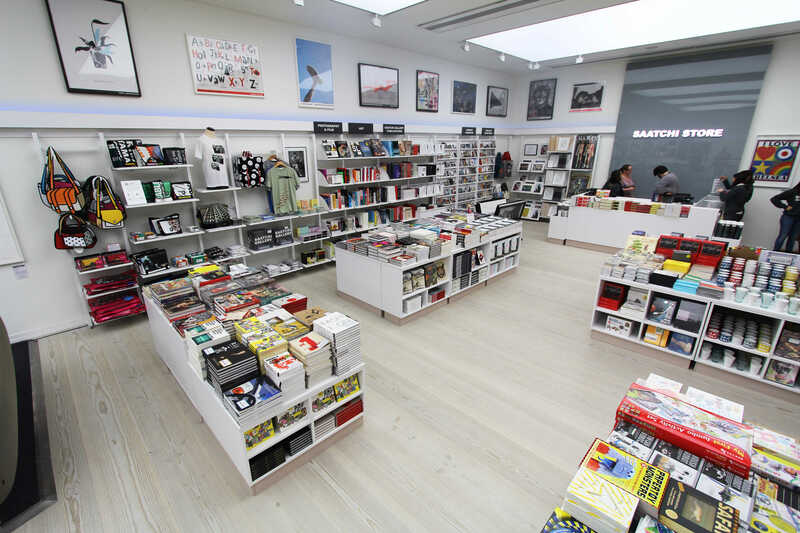 D4R designed the Saatchi Gallery Store on Kings Road in London. The Saatchi Gallery provides an innovative forum for contemporary art, presenting work by largely unseen young artists or by international artists whose work has rarely or never been exhibited in the UK. 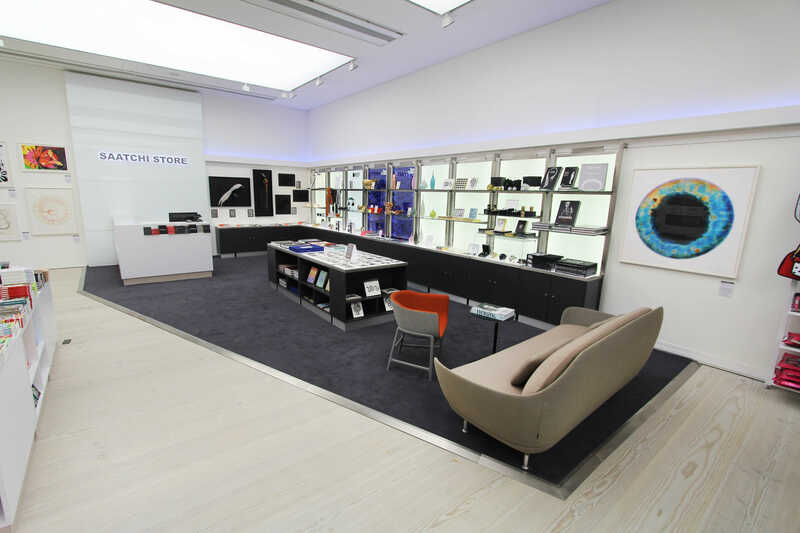 D4R created a bespoke retail environment for the Gallery store and in doing so, created a stylish, modular retail environment that will complement and not overpower the product on display. 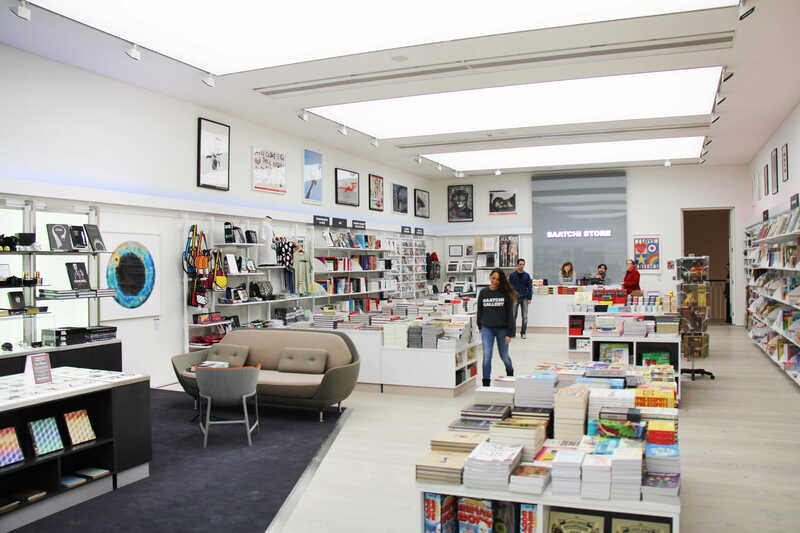 The new Saatchi Gallery store aims to showcase high quality products that inform, educate and entertain visitors. The retail space is open and bright and has two cash desks, situated at either end of the 25 mtr space. These in turn also help distinguish between the premium and main retail product categories. 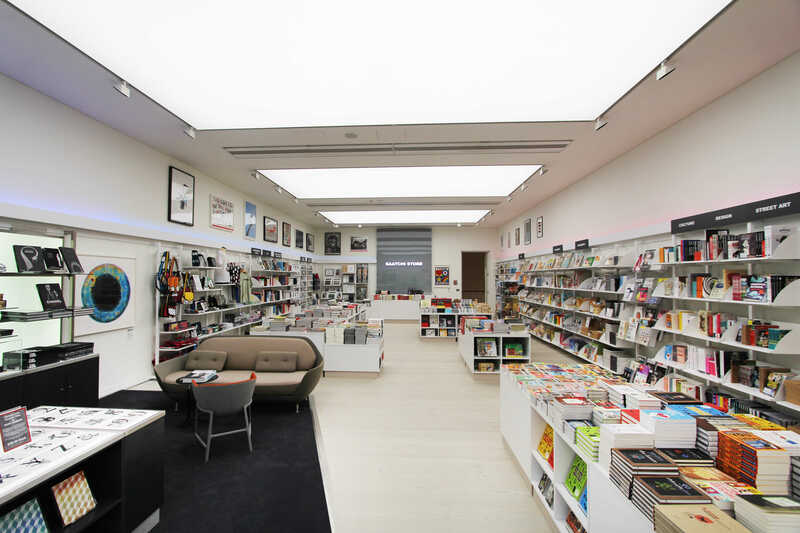 The main retail area displays a range of products on a modular white flexible shelving system that blends into the backdrop of the gallery. The retail system is entirely flexible with moveable category headers that navigate the consumer to their desired product choice. The premium area is a space dedicated to exhibiting higher value products from featured designers or sponsors. The space was given its chic identity with a deep grey carpet and glass shelving suspended on stylish stainless steel uprights The shelving system is again modular and changeable however, allows for a branded imagery to be located behind the products into LED illuminated panels to give each collection its own separate identity while backlighting the product beautifully. The entire space can be adapted to suit future product ranges and even features a small seating area to enhance the serene ambience, allowing the consumer the opportunity to take it all in comfort. This bespoke and functional retail environment exudes refinement and style and we are extremely proud of all that we have achieved here.